It is important to keep track to Larysa Holnyk’s story. Ukraine is going through a challenging period of judicial reform and the implementation of newly-adopted legislation with the aim of ensuring indepence, fairness and effectiveness of the judiciary in line with Council of Europe standards. But a society that has been riddled with corruption for years obviously cannot be changed overnight. Judge-whistleblower Larysa Holnyk shares her story on her ongoing fight to obtain justice with us. In 2015, she reported an attempted bribery by Mamay, then Mayor of Poltava. What followed was an endless row of attempts to make work impossible for her, not only by Mamay and his associates, but also by the president of her own court. Instead of supporting her, the president had suggested her to accept the bribe, and criticized her stubborn attitude. In April 2015, judge Larysa Holnyk completed her first five-year term of office. According to the law, she was from them on considered a judge, but she was not allowed to carry out legal proceedings until her formal lifetime appointment. In September 2015, the High Qualification Commission of Judges of Ukraine recommended to appoint her as a judge in the Oktyabrsky District Court of Poltava for an indefinite period of time, and submitted the corresponding recommendation to the Verkhovna Rada, the Parliament of Ukraine. The Verkhovna Rada of Ukraine did not consider the submission in time, and after the adoption of the Law of Ukraine “On Amendments to the Constitution of Ukraine (in relation to justice)”, in October 2016 all documents and recommendations of the High Qualifications Commission of Judges of Ukraine were submitted to the High Council of Justice. The High Council of Justice only in early 2018 decided to submit the recommendation on the life time appointment of Larysa Holnyk as a judge to the President of Ukraine. The submission was received by the Presidential Administration on 18 April 2018. According to the law, the President must issue a decree appointing a judge no later than 30 days from the date of receipt of such submission. However, President Poroshenko remained inactive for a long time. Only the request of Judge Holnyk to the Administrative Court of Cassation in the Supreme Court in November 2018, in which she pointed out the unlawfulness of the President’s inaction and demanded to oblige him to issue a decree appointing Holnyk to a position of judge, forced Petro Poroshenko to comply with the requirements of the law. It finally happened on 19 December 2018. The trial, however, is ongoing. Larysa Holnyk has amended her claims and now seeks recognition of the unlawfulness of the inaction of the President of Ukraine, consisting in the non-issuance of the decree on her appointment as a judge over the period from 18 May to 18 December 2018. The court session is scheduled for 18 April 2019. On 23 May 2018, the Disciplinary Chamber of the High Council of Justice, following complaints of the president of the Oktyabrsky District Court of Poltava (Oleksandr Strukov) imposed a reprimand on Larysa Holnyk for criticizing the judiciary on Facebook and for the fact that some of her supporters had come to the judges’ meeting to express their outrage over Strukov’s behaviour. Larysa Holnyk tried to challenge the decision of the Disciplinary Chamber, but the High Council of Justice, by decision of 2 August 2018, rejected her challenge. 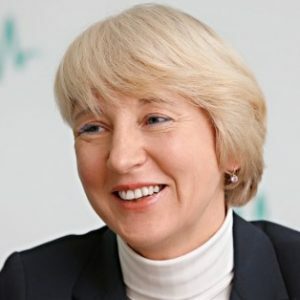 In addition, Holnyk was not given permission to challenge the – in her opinion – too soft disciplinary measure the Disciplinary Chamber had imposed on Strukov for improper behaviour towards her. The High Council of Justice thus dismissed the conclusions of the Ombudsman of the Verkhovna Rada of Ukraine, the National Agency for the Prevention of Corruption and the Council of Judges of Ukraine which clearly demonstrated the many years of persecution Judge Holnyk had suffered as a result of the corruption and violations of her rights by the chairman of the court. Due to the disciplinary measure, the selection panel of the High Qualification Commission of Judges of Ukraine, on 26 October 2018, did not allow Judge Holnyk to take part in the competition for the position of a judge in the newly created High Anticorruption Court. In its plenary meeting of 5 November 2018, the High Qualifications Commission of Judges of Ukraine rejected Judge Holnyk’s request to review the decision of the panel. In their written decision, they ignored Larysa Holnyk‘s reference to article 53 of the Law on the Prevention of Corruption, which protects the whistle-blower against persecution and measures that negatively influence the whistle-blower’s career, and her claim that the disciplinary punishment imposed on her was in clear violation of this article. Finally, on 17 January 2019, the Grand Chamber of the Supreme Court considered Holnyk’s appeal regarding the disciplinary measure imposed by the High Council of Justice, and quashed the measure of reprimand. Holnyk again turned to the High Qualification Commission of Judges of Ukraine. They however found no reason to modify their previous decision regarding her application for the High Anticorruption Court, arguing that on the day of the submission of her application the disciplinary measure had been still in force, and thus the conditions for participation in the competition had not been fulfilled. Furthermore, the Grand Chamber of the Supreme Court had not in so many words declared unlawful their decision not to admit Holnyk to participate in the competition. It is noteworthy that this decision on judge Holnyk’s third appeal to the High Qualification Commission of Judges of Ukraine, dated 19 February 2019, was laid down in a simple letter, signed by one of the members of this body only. Larysa Holnyk appealed to the Administrative Court of Cassation of the Supreme Court, asking to declare the decision of the High Qualification Commission of Judges of Ukraine not to allow her to participate in the contest unlawful, and cancel this decision. The court session is scheduled for 15 April 2019. Judge Holnyk‘s attempt to have the sentence issued by the Disciplinary Chamber of the High Council of Justice to the head of the court, Strukov, revised, was unsuccessful. Under the law “On the High Council of Justice,” the decision of the disciplinary chambers may be reviewed by the High Council of Justice on the request of the complainant, when a permit to challenge their decision is granted to the complainant by the Chamber itself. Practice shows that disciplinary chambers abuse this right and almost never allow complainants to challenge their decisions regarding punishments imposed on judges, or refusals to discipline them. On the other hand, judges, in case of dissatisfaction with their sentence, are completely free to appeal the decisions of the disciplinary chambers and the High Council of Justice. By decision of the Administrative Court of Cassation of the Supreme Court of 3 September 2018, Larysa Holnyk was declared inadmissible in her proceedings against the claim to the High Council of Justice. Her appeal against this decision was rejected by the Grand Chamber of the Supreme Court on 14 February 2019 . In both instances, the Court noted that the decisions of the disciplinary chambers of the High Council of Justice did not fall within the jurisdiction of the courts of Ukraine if challenged not by the judge but by the complainant. On 6 March 2019, Larysa Holnyk appealed to the Constitutional Court of Ukraine with a complaint in which she asks to declare unconstitutional the provisions of the Law “On the High Council of Justice” that make it impossible for the complainant to have the decision of the Disciplinary Chamber of the High Council of Justice reviewed without obtaining the permission from the Chamber itself. Larysa Holnyk based her constitutional complaint on the fact that the right to appeal to a court is guaranteed directly by the Constitution. The European Court of Human Rights and the Constitutional Court of Ukraine have repeatedly stated that the requirement to obtain permission for an appeal is a violation of the unconditional right to access to a court. Moreover, it is a discriminatory restriction on access to a court if one person is deprived of the right to challenge certain acts in court, while another person can do so without restrictions. One way of persecuting judge Holnyk by her court president was to deprive her of a part of her judge’s remuneration, by which he violated not only the Law “On the Judiciary and the Status of Judges”, but also the Law “On the Prevention of Corruption”, which prohibits the use of any negative measures of influence against a whistle-blower. The relevant violations were established by three competent authorities: the Council of Judges of Ukraine, the National Agency for the Prevention of Corruption and the High Council of Justice, and do not require further proof. According to the law, the regional administration of the State Judicial Administration of Ukraine carries out the payment of judicial remuneration. However, on 1 March 2019, the Poltava District Administrative Court dismissed Larysa Holnyk’s motion to confirm her administrative claim to the Territorial Department of the State Judicial Administration of Ukraine in the Poltava region to pay the full amount of judicial remuneration for 2016-2017. Now Larysa Holnyk challenges this decision in an appeal. Oleksandr Kovzhoga, former representative of the Poltava city mayor Oleksandr Mamay, filed three civil claims against judge Holnyk, based on an alleged attack on his honor, dignity and business reputation, and slander. Two lawsuits, after lengthy considerations, resulted in Kovzhoga’s inadmissibility. In the third, the court rejected his claim. According to the provisions of the Civil Procedural Code of Ukraine, in the event of the rejection of the plaintiff’s claim, upon the defendant’s application, the plaintiff shall be charged with the defendant’s expenses, in particular for professional legal assistance. However, in the case of Kovzhoga vs Holnyk and Teleradiocompany Studio 1 + 1 LLC (proceedings closed on 23 March 2018) and on a lawsuit against Holnyk and the owner of the Ukrainska Pravda website, Olena Pritulya (proceedings closed on 26 December 2018), various judges of the Kyivsky district court in Poltava refused to reimburse Holnyk’s attorney’s fees. The corresponding decision in the first case was appealed but was left unchanged by decision of the Appeal Court of the Poltava region from 3 July 2018. In fact, the position of the courts is that Holnyk is a lawyer by education and has considerable experience in working as a judge, and is supposed to be able to defend her own rights without the assistance of a lawyer. The courts do not pay attention to the evidence of costs actually incurred by the defendant. In fact, Kovzhoga is also a lawyer, but in the trial he enjoyed the services of several of his own attorneys. In this case, the local and appellate court judges are well aware that the decision to determine the amount of court costs is not subject to appeal. Only Dmitry Trikhin, who served as an intermediary when attempting to bribe Judge Holnyk, was charged under Part 3 of Article 369 and part 1 of Article 376 of the Ukrainian Criminal Code. At the same time, the administration of the prosecutor’s office actually discharged Oleksandra Mamay from criminal liability, turning him and Oleksandr Kovzhoga into witnesses for the Trikhin case. In a court session on 7 April 2016, Mamay, Kovzhoga and Strukov swore allegiance against Judge Holnyk, alleging that she had provoked Mamay to commit a crime. It was clearly aimed at avoiding Trikhin‘s criminal punishment and concealing Mamay’s own involvement in the crimes he was accused of. Larysa Holnyk‘s requests to prosecute these people for knowingly giving false testimony did not result in a proper response by either the court or the prosecutor’s office. After the Prosecutor’s Office of Poltava Oblast closed the proceedings against Mamay, Larysa Holnyk managed to have the investigation restored. From 23 November 2015, detectives of the National Anti-Corruption Bureau of Ukraine are investigating proceedings No. 42015170000000377 under Part 2 of Article 383, part 1 of Article 376, part 3 of Article 27 and part 3 of Article 369 of the Ukrainian Criminal Code. Several notices of suspicion were prepared by them. However, the closure of the investigation is blocked by the Specialized Anti-Corruption Prosecutor’s Office. On 24 September 2018, a judge of the Kyivsky District Court of Poltava found Dmitry Trikhin not guilty, and acquitted him for his involvement in the commission of crimes. The Prosecutor’s Office of the Poltava region lodged an appeal, and Larysa Holnyk as a victim did the same. Earlier on 26 January 2015, Mamay, in an attempt to avoid responsibility for unlawful influence on a judge and attempted bribery, committed through Trikhin as an intermediate, accused Judge Holnyk of arbitrarily claiming $ 5,000 in a specially arranged meeting. At the same time, he turned to the Prosecutor’s Office of the region and the Office of the SBU in the Poltava region with allegations of a crime committed by Larysa Holnyk. In the following days, during interrogation at the prosecutor’s office, Mamay, Kovzhoga and Trikhin knowingly gave false testimony to confirm the statements of the mayor. On 10 and 20 February 2015, in order to take revenge, Kovzhoga knowingly filed false reports on alleged fraud committed by Larysa Holnyk and her husband Igor Gavrilenko. Based on judge Holnyk’s statements, Mamay’s and Kovzhogi‘s false reports of criminal offenses were subject to criminal investigations. The prosecution of the perpetrators has not yet taken place. At the same time, more than ten criminal proceedings were initiated at various times on frivolous grounds and without a shadow of evidence by Mamay, Kovzhoga, Strukov and associated persons against judge Holnyk. Previous PostTurkish judges in Strasbourg: an effective remedy?